"Bombastic" income generator for jomsocial based websites. For the past months, TechGasp is actively solving the outstanding issue of lack of income for all the jomsocial based websites. 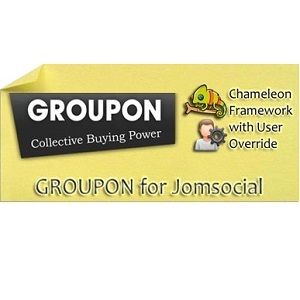 With this fresh new plugin, Groupon for Jomsocial, you can finally integrate your jomsocial website into the groupon network and generate a substantial amount of money by automatically show and sell the groupon deals-of-the day. 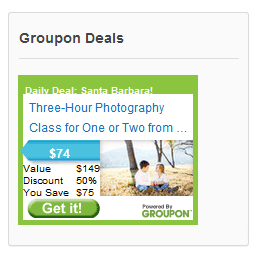 Specially designed and coded for jomsocial, the plugin integrates perfectly inside the templates (Main Position, Sidebar Top and Sidebar Bottom), based upon Groupon API with fast page load times, zero conflicts and full customization. 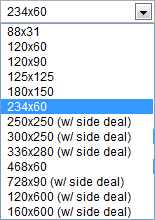 Among other API options, you may choose from 15 ad sizes and side deals with custom accent colours for the ads for prefect template colour integration. 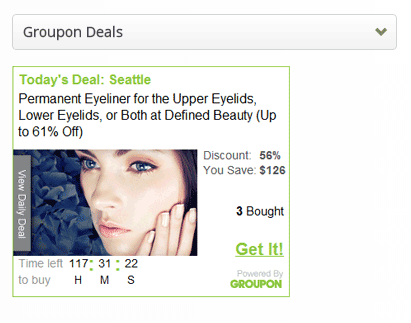 You may also specify a city to show ads from or just have the cities in auto-detect according to the origin of your website visitor. Remember to check all our jomsocial income generators, Jomsocial Google Ads plugin, Jomsocial Amazon Deals plugin for improved revenues. 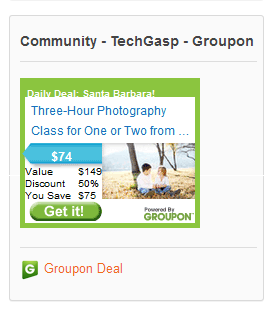 Groupon for Jomsocial uses TechGasp Chameleon Framework for Jomsocial. It can be used as User Profile Plugin, Activity Stream Plugin and Jomsocial Module. Awesome 3 in 1!!! 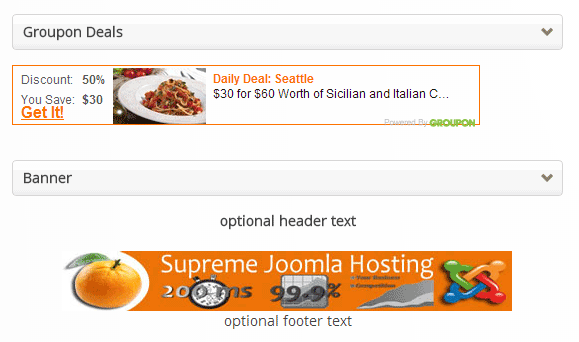 Publish the module in any of Jomsocial template positions. 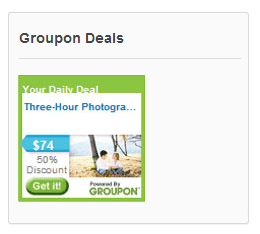 Frontpage, Groups, Events, etc.